Scores of Russian athletes, coaches and officials were barred after an investigation into the yearslong conspiracy that peaked at the 2014 Olympics in Sochi, Russia, when the state security apparatus colluded with sports officials to swap drug-tainted urine samples with clean ones in a clandestine, dead-of-night operation. The scandal and its aftermath have led to much upheaval in the global sporting movement, with many athletes and some of the I.O.C.’s own members critical of the way it had been dealt with. Richard Pound, the organization’s longest serving member, boycotted the closing of the Pyeongchang Games in protest. The doping scheme has now overshadowed no fewer than three Olympic Games. 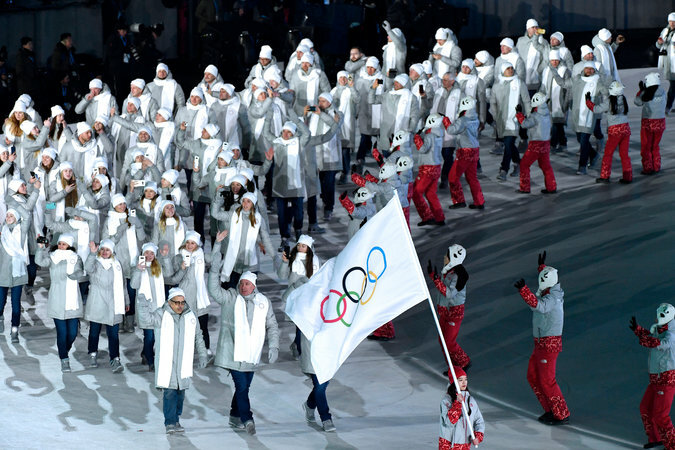 Olympic athletes from Russia during the opening ceremony of the Winter Olympics in Pyeongchang, South Korea.